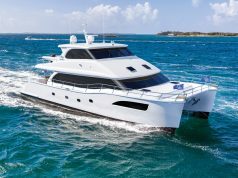 The new World Cat 296DC dual console combines the builder’s best-selling 29-foot catamaran hull with an all-new look and multi-use layout. 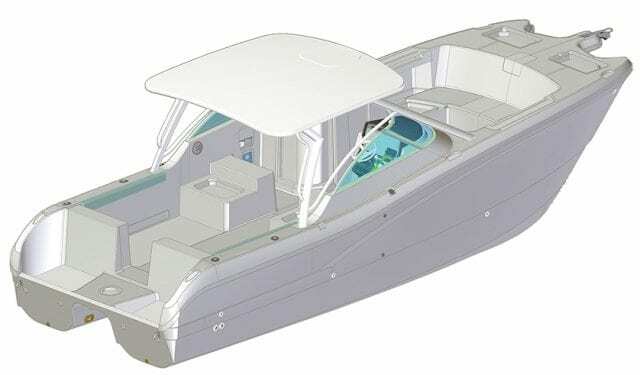 The cat’s big bow area seats eight, and the new cockpit layout features aft-facing seats housing livewell and fish boxes. 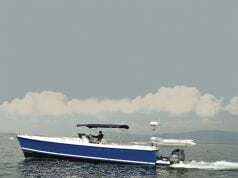 New port and starboard rod racks with molded-in toe kicks flank the aft cockpit, and the huge swim platform sports the World Cat dive ladder system. 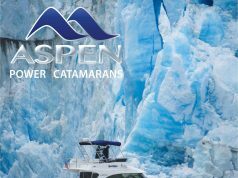 The new instrument panel design combined with sleek powder-coated hardtop frame and hand-finished surfboard top complete a svelte look for this proven offshore catamaran.